William Mahoney, former editor of The Union Advocate and mayor of St. Paul, will be among the subjects of the Oct. 18 program. The history of St. Paul, its neighborhoods and its workers are intertwined. The struggles waged by organized labor helped knit a strong social fabric and vibrant local economy. Local historians next month will host “Making St. Paul Work for Working People,” a discussion of four exemplary St. Paul labor leaders, the movements they helped build and what we can learn going forward. The discussion will take place Saturday, Oct. 18 from 11 a.m. to 1 p.m. at the East Side Freedom Library, 1105 Greenbrier St., St. Paul. Light food and refreshments will be provided, and the event is free and open to the public. William Mahoney, founder of Minnesota’s Farmer Labor Party, mayor of St. Paul and editor of The Union Advocate. Frank Boyd, African American community leader and organizer of the St. Paul Pullman Porters. Florence Rood, president of the American Federation of Teachers and the first women to serve as president of a union with both male and female members. She also was appointed by Gov. 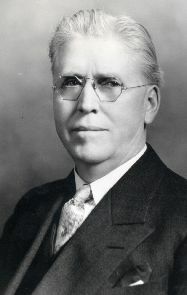 Floyd B. Olson to the Minnesota Board of Education. Joe Karth, president of the Oil, Chemical and Atomic Workers Union local at 3M, and U.S. Congressman representing St. Paul from 1950-58. The event is sponsored by the East Side Freedom Library and the Farmer Labor Education Committee. For more information, contact Tom O’Connell, Farmer-Labor Education Committee member, at Thomas.OConnell@metrostate.edu. Enter your email address to follow The Union Advocate and receive notifications of new posts by email. Follow the St. Paul RLF on Facebook!